I use WordPress and completely in love with it. Like many of us, I am also in constant look for some delicious WordPress themes. 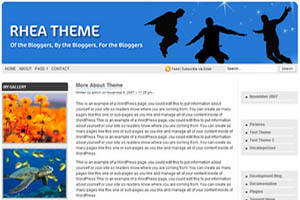 Starting today I will be sharing WordPress themes that I like and hopefully you will also like them! 1. ApploPress WordPress Theme –As Myo Han Htun added, “theme looks bit like Apple home page but not at all, so I name it, ApploPress”. Compatible with WordPress 2.3 + . Very good looking and fast loading theme, no ugly graphics in there! 2. 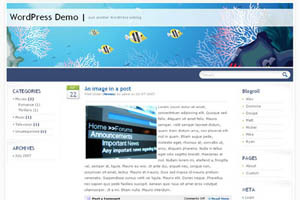 Ocean Wide WordPress Theme – As the name suggest, theme is all in subtle blue and white shades. Beautifully designed sidebars and backgrounds. Overall looks really good. 3. HomeSchool WordPress Theme –Very Minimalistic all white theme with 3 structured columns. 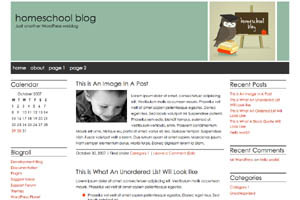 With little bit of customization you can use this theme for different type of blogs, school blogs included! 4. Rhea V1.0 WordPress Theme –A Beautiful with very good placement of elements and colors. It also features a Lightbox sidebar gallery for your image needs. 5. 3Grey WordPress Theme –Stylish and cool looking theme. 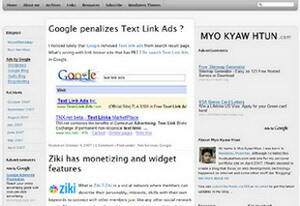 Middle column to show advertisements in very prominent and high visibility location. Hope you enjoyed above themes. In case you use either of them for your blog, please do take a little pain of leaving your blog URL in the comment below… so that I can pay visit to your re-designed weblog !!! Also, next edition of 5 Delicious 3 Column WordPress themes coming very soon. So keep hooked and incase you have any great looking WordPress theme to share… contact me or leave a comment!